Dr Koh Sin Yee is Senior Lecturer in Global Studies at Monash University Malaysia. She completed her PhD in Human Geography and Urban Studies at the London School of Economics and Political Science (LSE). She has taught at the LSE, City University of Hong Kong, and Universiti Brunei Darussalam. Prior to switching to academia, she was an urban development professional in Singapore. Her research, positioned at the intersection of migration studies and urban studies, is informed by three areas of interest: (1) migration/mobilities and citizenship; (2) urbanization, inequality and social change; and (3) postcolonial geography. Her recent books include Race, Education, and Citizenship (Palgrave Macmillan, 2017), Cities and the Super-Rich (co-edited with Ray Forrest and Bart Wissink, Palgrave Macmillan, 2017), New Chinese Migrations (co-edited with Yuk Wah Chan, Routledge, 2018), and The Globalisation of Real Estate (co-edited with Dallas Rogers, Routledge, 2018). 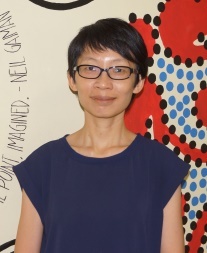 Dr Koh Sin Yee’s research is positioned at the intersections of migration studies and urban studies, with a particular focus on mobilities and inequalities. Her research is motivated by the desire to understand the causes, processes, and consequences of structural and urban inequalities (especially in Southeast Asian and East Asian contexts), and how people cope individually and collectively under such conditions. Informed by postcolonial geography, her work pays attention to how the historical connects to the present. Her current research interests include: (1) migration and mobilities; (2) citizenship as differentiated identity, belonging and rights; (3) colonial legacies; (4) youth, education and work; (5) urbanisation, inequality and social change; and (6) intermediaries and brokers. Her current research projects include: (1) academic expatriates in Malaysia; and (2) Chinese international branch campus in Malaysia. Mobile Malaysians and A Culture of Migration (2010-2013). This project is based on archival research (colonial Malaya/Singapore and post-colonial Malaysia, 1820s–1970s) and in-depth interviews with 67 mobile Malaysians (i.e. tertiary-educated Malaysian emigrants) in London, Singapore, and Kuala Lumpur. The research found that there is a culture of migration amongst mobile Malaysians – and in particular, a culture of education-induced migration. Using a postcolonial approach, the research situates this culture of migration in relation to the colonial legacies of race, education, and citizenship that have been inherited and exacerbated by the post-colonial Malaysian state. These internalised colonial legacies, in turn, circumscribe mobile Malaysians’ citizenship and migration practices (including their education plans, citizenship strategies, and migration pathways). Outputs from this project include a monograph (Race, Education, and Citizenship, Palgrave Macmillan, 2017), several journal articles and several book chapters (full publication list here). Alpha-Territoriality and the Super-Rich in Hong Kong and London (with Ray Forrest and Bart Wissink, 2014-2015). This team project examines the ways the super-rich invest and live in Hong Kong and London. The project is based on analyses of spatial data, news articles, and 24 qualitative interviews with super-rich individuals and key informants in intermediary services (e.g. concierge services, private jets and yachts, fine art, real estate investments, financial and wealth management, etc.). Besides offering comparative empirical insights on the real estate practices and spatial practices of urban elites in these two cities, this research also contributes towards current debates on structural inequality, the globalisation and financialisation of residential real estate, and relevant urban policies (such as housing, immigration, citizenship, and tax). Outputs from this project include an edited volume (Cities and the Super-Rich, Palgrave Macmillan, 2017), several journal articles and several book chapters (full publication list here). Investing in ‘Homes’ Across the Border: Comparing the Cases of Brunei-Miri and Singapore-Johor Bahru (2016-2018). This project examines how transnational and cross-border mobilities intersect with urban spatialities. Using participant observations, qualitative interviews, and analyses of news articles and marketing collaterals, this study finds evidence of transnational mobility of property marketing strategies that are creatively adapted to suit local contexts. Current outputs from this project include a journal article on ‘property tourism’ (Asian Review, 2017) and a book chapter on comparative urbanism (full publication list here). Dr Koh Sin Yee has taught in the departments of Geography and Environment (London School of Economics), Public Policy (City University of Hong Kong), Sociology and Anthropology (Universiti Brunei Darussalam), and Global Studies (Monash University Malaysia). She has supervised honours theses on topics such as livelihoods, experiences, subjectivities and coping strategies in relation to ethnic minorities, youth, married couples, and retirees. At the LSE, she was one of six supervisors for a 2-week full time programme (LSE GROUPS) where undergraduate students from different majors work in groups of 5-6 to design, conduct, write up and present their group research projects. Dr Koh Sin Yee’s broader teaching interests are in migration studies, urban studies, Asian studies, as well as academic research and writing. Koh, S.Y. (2017) Race, Education and Citizenship: Mobile Malaysians, British Colonial Legacies, and a Culture of Migration. New York: Palgrave Macmillan. ‘Migration, Diasporas, and Citizenship’ Series. Chan, Y.W. & Koh, S.Y. (Eds.) (2018) New Chinese Migrations: Mobility, Home, and Inspirations.Abingdon, Oxon; New York: Routledge. ‘Routledge Series on Asian Migration’. Rogers, D., & Koh, S.Y. (Eds.) (2018) The Globalisation of Real Estate: The Politics and Practice of Foreign Real Estate Investment. Routledge. ‘Routledge Special Issue as Books’ programme. Forrest, R., Koh, S.Y., & Wissink, B. (Eds.) (2017) Cities and the Super-Rich: Real Estate, Elite Practices and Urban Political Economies. New York: Palgrave Macmillan. ‘The Contemporary City’ Series. Rogers, D., & Koh, S.Y. (Eds.) (2017) The Globalisation of Real Estate: The Politics and Practice of Foreign Real Estate Investment [Special Issue]. International Journal of Housing Policy, 17(1), 1-144. Koh, S.Y., & Wissink, B. (2018). Enabling, Structuring and Creating Elite Transnational Lifestyles: Intermediaries of the Super-Rich and the Elite Mobilities Industry. Journal of Ethnic and Migration Studies, 44(4), 592-609. Koh, S.Y. (2017). Property Tourism and the Facilitation of Investment-Migration Mobility in Asia. Asian Review, 30(1), 27-45. Koh, S.Y. (2015). Postcolonial Approaches to Migration in Asia: Reflections and Projections. Geography Compass, 9(8), 432-444. Koh, S.Y. (2015). State-led Talent Return Migration Programme and the Doubly Neglected ‘Malaysian Diaspora’: Whose Diaspora, What Citizenship, Whose Development? Singapore Journal of Tropical Geography, 36(2), 183-200. Koh, S.Y. (2015). Temporalities of Citizenship: Malaysian-Chinese Skilled Migrants in Singapore and Returnees to Malaysia. Asian and Pacific Migration Journal, 24(1), 3-27. Koh, S.Y. (2015). How and Why Race Matters: Malaysian-Chinese Transnational Migrants Interpreting and Practising Bumiputera-Differentiated Citizenship. Journal of Ethnic and Migration Studies, 41(3), 531-550. Koh, S.Y. (2018). Challenges and Opportunities for Comparative Urbanism: The Case of Brunei-Miri and Singapore-Iskander Malaysia. In R. Padawangi (Ed.) Routledge Handbook on Urbanization in Southeast Asia (pp. 101-114). Routledge. Koh, S.Y. (2017). Geographies of Education-Induced Skilled Migration: The Malaysian Case. In T. Abebe & J. Waters (Eds. ), Labouring and Learning (pp. 221-242). Vol.10 of Skelton, T. (Editor-in-chief) Geographies of Children and Young People. Singapore: Springer. Koh, S.Y., Wissink, B., & Forrest, R. (2016). Reconsidering the Super-rich: Variations, Structural Conditions, and Urban Consequences. In I. Hay & J. Beaverstock (Eds.) Handbook on Wealth and the Super-Rich (pp. 18-40). Cheltenham; Norhampton, MA: Edward Elgar. Koh, S.Y. (2016). Contextualising Geographies of Education-Induced Migration: How Mobile Malaysians End Up in Singapore, London and Kuala Lumpur. In K.F. Lian, M. Rahman and Y. Alas (Eds.) International Migration in Southeast Asia: Continuities and Discontinuities (pp. 83-102). Singapore: Springer. Koh, S.Y. (2015). Unpacking ‘Malaysia’ and ‘Malaysian Citizenship’: Perspectives of Malaysian-Chinese Skilled Diasporas. In A. Christou & E. Mavroudi (Eds. ), Dismantling Diasporas: Rethinking the Geographies of Diasporic Identity, Connection and Development (pp. 129-143). Surrey; Burlington: Ashgate. Koh, S.Y. (2014). Diasporic ‘Unbelonging’ to Malaysia and Singapore: Second-Generation Malaysian-Chinese Migrants in Singapore. In Y.W. Chan, D. Haines & J.H.X. Lee (Eds. ), The Age of Asian Migration: Continuity, Diversity, and Susceptibility Volume I (pp. 358-372). Newcastle upon-Tyne: Cambridge Scholars Publishing. Koh, S.Y., 2018: Chinese University Branch Campuses in ASEAN: The Malaysian Case, SASS Internal Grant, Monash University Malaysia, RM 9,938.50. Hoon, C. Y., Koh, S. Y., Noor Azam bin Hj Othman, 2018-2019: The Pursuit of Chinese Language among Bruneian Youths: Social, Cultural and Economic Factors, FIC Research Grant, Universiti Brunei Darussalam, BND 8,600. Koh, S.Y., Hoon, C. Y., Ly Slesman @ Sulaiman Mohammad Ali, 2017-2018: Employability of Recent Universiti Brunei Darussalam (UBD) Graduates: A Pilot Qualitative Study, University Research Grant, Universiti Brunei Darussalam, BND 5,000. Koh, S.Y., 2016-2018: Investing in ‘Homes’ Across the Border: Comparing the Cases of Brunei-Miri and Singapore-Johor Bahru, University Research Grant, Universiti Brunei Darussalam, BND 10,000. Koh, S.Y., Wan, S., 2011-2015: Urban Vignettes, Urban@LSE Student-led Initiative Fund, London School of Economics and Political Science, GBP 500. Dr Koh Sin Yee welcomes enquiries on PhD supervision on broad research areas such as (1) migration and mobilities; (2) citizenship as differentiated identity, belonging and rights; (3) colonial legacies; (4) youth, education and work; (5) urbanisation, inequality and social change; and (6) intermediaries and brokers. Authorised by: Marketing and Future Students. Maintained by: Monash University Malaysia Webmaster Team. Last updated: 21 Mar 2019.